You Are Here: Home > Why Buy A Used Jeep? If you’re looking for a used vehicle, it goes a long way to know that it was built tough enough to last. That’s exactly what you get when you explore the inventory at our Nashua area used Jeep dealership. Designed and built to handle tough trails and harsh weather, there’s no denying the resilience of the Jeep nameplate. Whatever sort of driving you do, a pre-owned Jeep is sure to be a great fit. There are plenty of reasons that shoppers seek out these legendary SUVs when shopping for a pre-owned vehicle. This one probably goes without saying, but Jeep SUVs are built with tough terrain in mind, which means they’re up to just about whatever you throw their way. You’ll find many of the same legendary 4×4 systems built into the inventory of our Nashua area dealer’s used Jeep models that you would expect to find in a brand new model, which means you can rely on the same capability and dependability. All of that tough construction and capable power isn’t just useful on the trail; it’s great on winter roads, too. If you’ve been considering a second vehicle for braving the snowy New England winters or occasional towing, a used Jeep is just the ticket for claiming plenty of confidence on slick roads without buying a brand new vehicle. By keeping your current vehicle and buying a used SUV for when you need it, you get the best of both worlds. Jeep’s SUVs have long been the perfect canvas for customization. Whether you’re working on the suspension and wheels for pure capability or adding light bars and other accessories for added style wherever you go, buying a used Jeep can give you just what you need for starting your next customization project.  Whatever your goals are with your Jeep, you’ll find the quality pre-owned options you’re after here at Contemporary Automotive. To learn more, or to schedule a test drive, be sure to contact us by calling (844) 500-6722 today.